Swans are forever faithful to their partners. They breed repeatedly in the same nest, continue to rebuild it year after year and guide their young with loving care. Is there a more beautiful symbol of love? 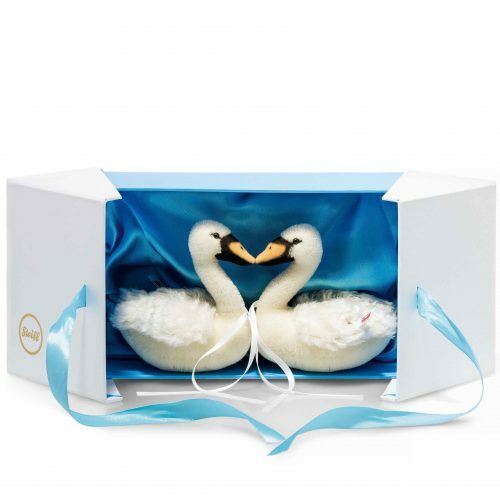 With the Wedding Swan set, the Steiff spring collection offers an expressive gift for wedding couples. 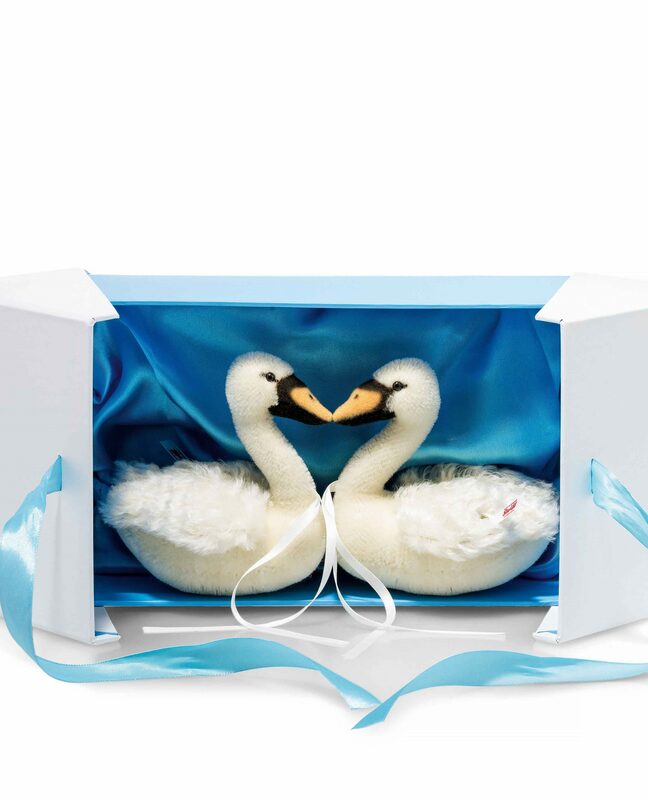 Made from finest white mohair, Mr and Mrs Swan are sitting opposite each other in a high quality gift box with a water blue satin lining. 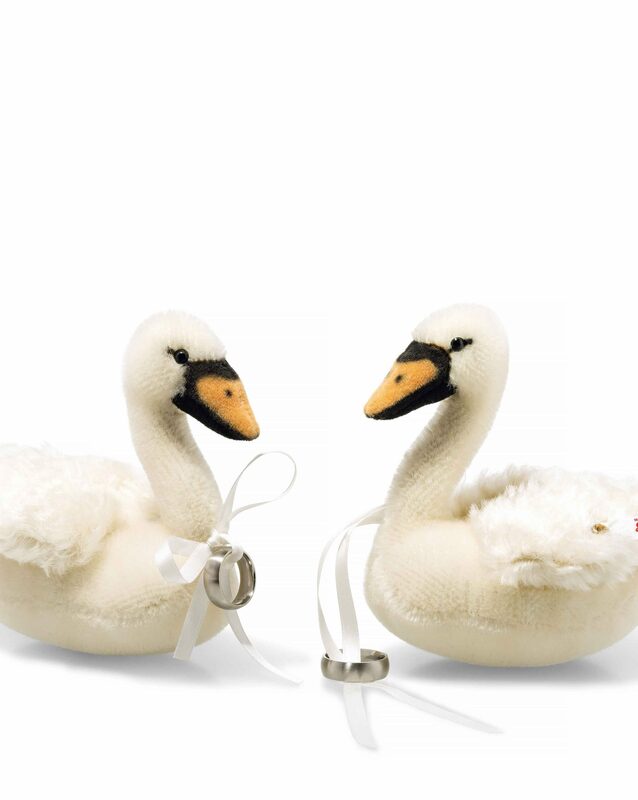 The fluffy dress on their back looks festive, the neck and beak of the swan pair combine to form a heart shape. The satin ribbon allows you to attach wedding rings, bank notes or personal messages. Wish the happy couple a long and happy life together!